Chandler Debt Relief | Mesa Bankruptcy Lawyers, Call (480) 263-1699. Chandler Debt Relief Lawyer. If you are seeking debt relief in Chandler, Arizona, chances are you are not alone. Our bankruptcy lawyers can assist in better informing you about Chapter 7 bankruptcy, Chapter 13 bankruptcy, debt consolidation, and debt settlement. In particular, our experienced attorneys have helped thousands of people in Chandler and throughout Arizona get debt relief. The Chandler Community Services Department provides residents with recreational, cultural, artistic, fitness, and educational classes, programs, events, and opportunities. Chandler has many parks, aquatic centers and recreational niceties. Furthermore, Chandler has received the distinction of “Playful City USA” for 6 consecutive years (2007-2013). Although Chandler’s corporations are successful, due to a declining housing market and excessive debt in general, Arizona was one of the states most affected by bankruptcies in the nation. When Arizona residents took a hit on their financial security, many people found themselves with overwhelming debt, loss of job, or homes that were worth less than they paid for them. Because bankruptcy is a means to free residents of Arizona from debt payments on unsecured debts, it has become a primary option for debt relief. In order to get out of control debt and finances eliminated, reduced, or restructured, a lot of folks opted to file either Chapter 7 or Chapter 13. There are many forms of Chandler debt relief available to anyone needing financial assistance in Chandler. My AZ Lawyers wants to help you make some of the most important decisions you may ever have to make so that you can get your debt under control. We represent Chandler, Arizona residents and work on your behalf. With your best interests in mind, we offer options then assist you in successfully guiding you through the dry relief process. My AZ Lawyers has helped clients in Chandler file for bankruptcy protection. 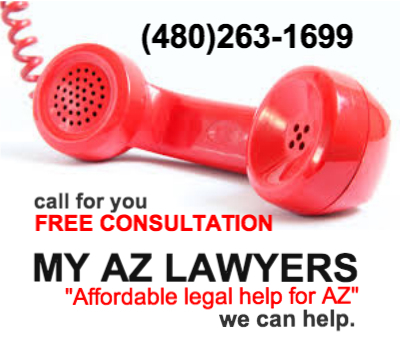 The attorneys at My AZ Lawyers are experienced at Arizona Bankruptcy Law and they specialize in debt relief practice. Contact My AZ Lawyers for a FREE consultation. You will have the opportunity to discuss you financial situation with a knowledgable attorney and ask questions that you have regarding your financial future. If you don’t know where to start, but you do know that your debt is affecting your life and you are struggling, it’s time to call My AZ Lawyers. They can assess your financial situation and your needs in order to represent your rights and help you to achieve your financial goals.